With the government hard put to meet its fiscal deficit target, disinvestment is now become imperative. Finance ministry officials are running against time to meet their disinvestment and fiscal deficit targets. The Election Commission is expected to announce the dates of the general election in the third week of February. Once these are set, all kinds of restrictions will kick in. 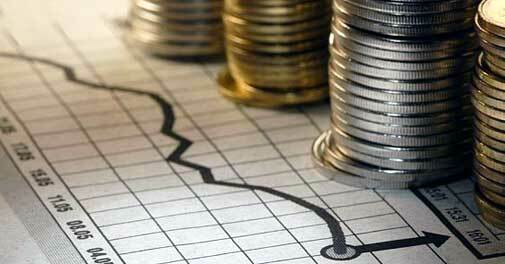 By November 2013, the fiscal deficit was reportedly at 94 per cent of the full-year target. Officials in the ministry are worried that the deficit seems intractable even after curtailing expenditure, so they are looking at non-tax means of raising revenue. The government is trying to boost disinvestment numbers before the vote-on-account scheduled for February 17. In the last Budget, Chidambaram had set a disinvestment target of Rs 40,000 crore. Sales of stakes in seven PSUs over first two quarters have raised only Rs 3,000 crore, of which the Power Grid Corporation of India Ltd (PGCIL) stake alone brought in Rs 1,637 crore. The government has also offloaded stakes in Hindustan Copper, National Fertilizers and MMTC. "The government needs to figure out when and where it will get maximum returns for its assets," says Anis Chakravarty, economist at Deloitte Touche Tohmatsu. "It should not be an exercise of the last two quarters, but should be based on systematic year-long planning." On January 21, the government-backed Specified Undertaking of the Unit Trust of India (SUUTI) appointed three bankers - JPMorgan Chase & Co, Citigroup Inc and JM Financial Ltd - to help it sell its 23.58 per cent stake in Axis Bank on the stock market. The government is expected to get Rs 12,000 crore from this sale. It is also keen to sell SUUTI's equity in L&T and ITC. Chidambaram's team also plans to disinvest from Hindustan Zinc, BALCO, Engineers India, BHEL and Hindustan Aeronautics. On January 20, the Cabinet Committee on Economic Affairs (CCEA) cleared the auction of the residual 29.5 per cent government stake in Hindustan Zinc. Already, the finance ministry has forced Coal India Ltd (CIL) to choose between five per cent disinvestment or payment of an interim dividend. CIL's board, under pressure from trade unions opposed to the disinvestment, decided to pay a dividend totalling Rs 18,317 crore, so the government would get dividend distribution tax as well. On January 10, Chidambaram met Coal India Chairman S. Narsing Rao, IndianOil Chairman R.S. Butola and ONGC Chairman Sudhir Vasudeva, to iron out his ministry's plan to rake in more revenue. This meeting took place a day after petroleum minister M. Veerappa Moily in a CCEA meeting opposed the sale of a 10 per cent government stake in IndianOil, arguing its share price was currently well below its 52-week peak. The finance ministry expects Rs 4,000-5,000 crore from the IndianOil deal.